Artist Gretchen Shannon’s work will be included in the exhibition. Gallery Q at the Susi Q senior center explores diversity and unity in its “Harmony” exhibition and invites artists to submit work that explores the theme on Thursday, May 3. Gallery Q will be accepting artwork of any media from 10 a.m. to noon and 5 to 7 p.m. There is an entry fee of $25 per work and a limit of three. Scholarships are available. Visit the Susi Q front desk or download the guidelines and application form here. An artists’ reception at 380 Third St. is planned for 5 p.m. Friday, May 11, and the exhibit will be displayed through June 29. Paintings, drawings and sculptures by Laguna College of Art and Design seniors opens with an Artwalk reception at the LCAD Gallery, 374 Ocean Ave., on Thursday, May 3, from 6-9 p.m.
AlexWagg’s “Light at the end of the tunnel,” will be featured. The works developed as part of senior thesis projects will be on display through Thursday, May 31. The show is curated by Hope Railey, chair of fine arts, and adjunct faculty member Kenny Harris. 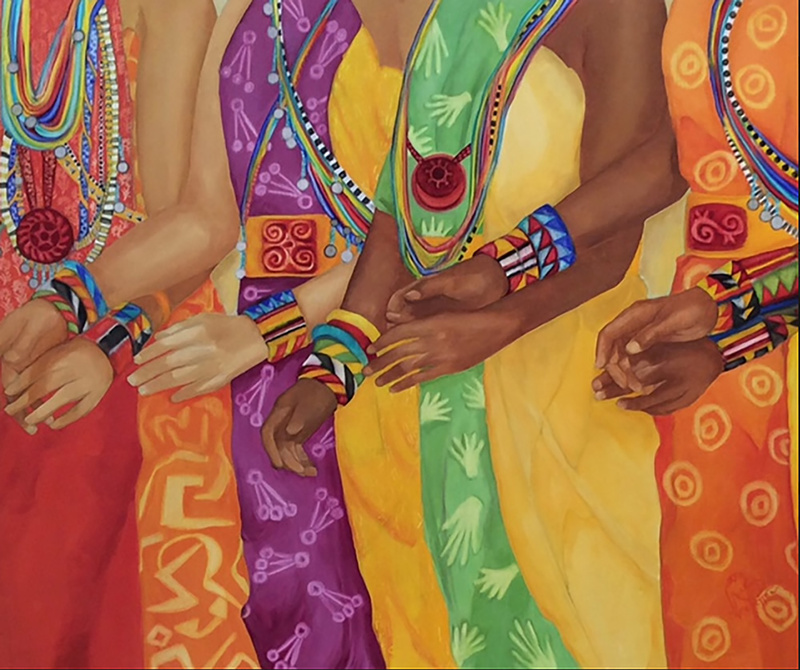 The Artist Fund at Festival of Arts is exhibiting at City Hall, 505 Forest Ave., through May 22. The show displays work by fund board members, who include Geraldine Cropser, Anne England, Roger Folk, Elizabeth McGhee, Rick Graves, and Wendy Wirth. Artist Fund supporters, from left, Wendy Wirth, Hugo Rivera and Ashley Gregg at the City Hall exhibit. Photo by Mike Tauber. Other board members include Karen Alvarado, Angela Goodwin, Roseanne Nolan, Hugo Rivera, and Shirley Rush. Meet artist Nancy Roux during Art Walk, Thursday, May 3, during a 6-9 p.m. reception planned at Cove Gallery. 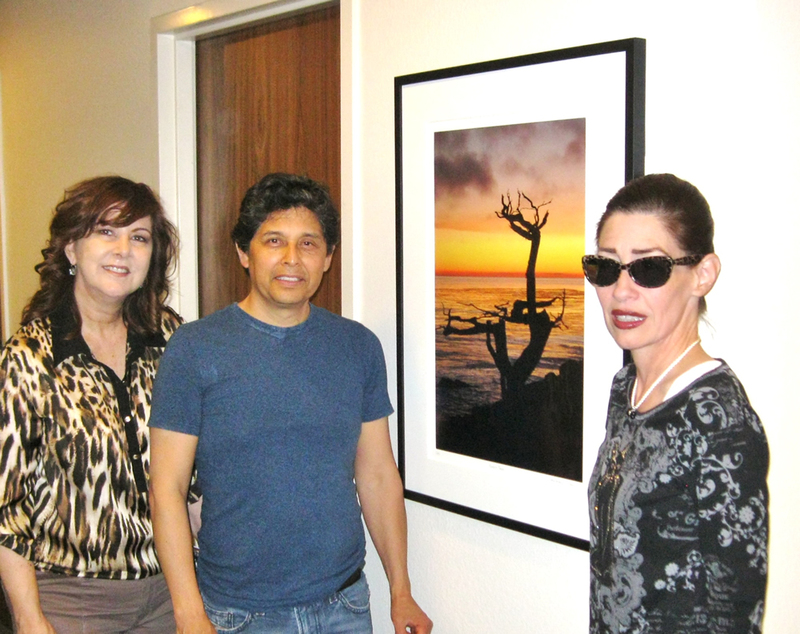 The gallery at 1550 S. Coast Highway will display the work by the award-winning photographer throughout the month. An example of Gar Benedick’s work. Meet emerging Laguna Beach artist Gar Benedick during a 6 to 9 p.m. reception during First Thursday’s Artwalk, May 3, at Shelia Olsen Fine Art Gallery, 784 S. Coast Highway. 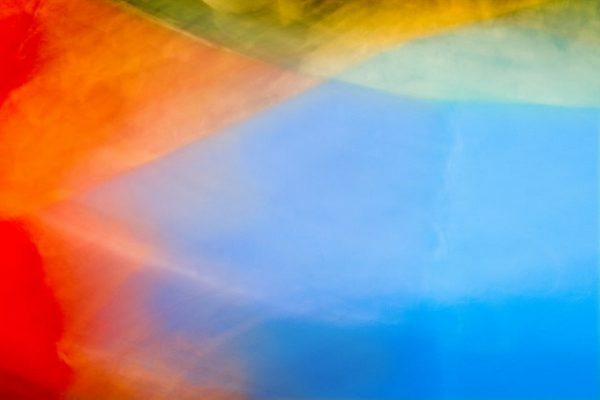 The fine art abstract painter and photographer’s work will be exhibited throughout May.